This brief, which draws on interviews with Doña Ana County stakeholders and secondary data sources, provides information about local government-policy opportunities and challenges in the food system to inform the work of the GFC steering committee and stakeholders in Doña Ana County. Doña Ana County is situated just north of the international metropolitan complex of El Paso, Texas and Ciudad Juárez—the largest city in the Mexican state of Chihuahua. The county is noteworthy for its spectacular desert landscape and cultural diversity. Agriculture and community development tend to concentrate along the historic Rio Grande corridor that runs north-south through the center of the county. Although the area has a strong rural-agricultural tradition and presence, trends since the 1950s have moved toward urbanization and economic diversification. Balancing the needs of its agricultural sector with other competing interests is a key issue for the region. 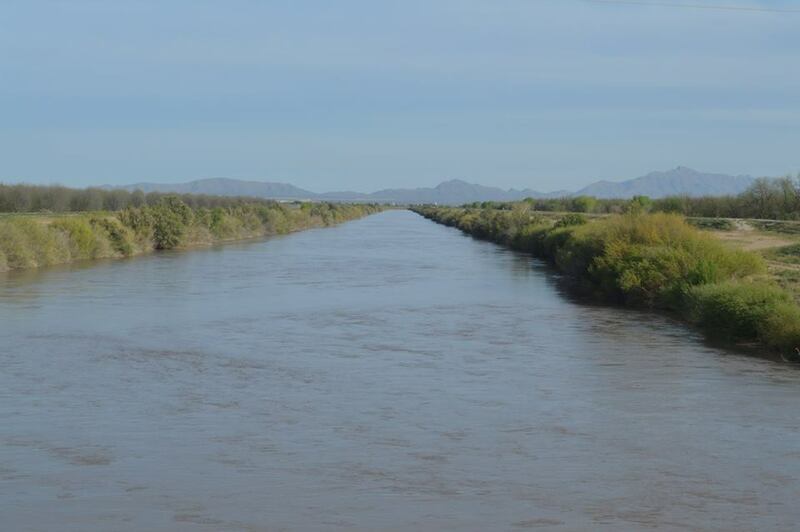 Located in the northern reaches of the Chihuahuan Desert, Doña Ana County must contend with limited water. Even though the county is in a valley, surrounded by mountain ranges, the area receives on average eight to nine inches of rainfall annually.5 Luckily, the county has multiple groundwater aquifers to draw on, as well as surface water flows from the Rio Grande.5 Access to surface and groundwater in the county is governed by a complex and disjointed governance structure.8 The administration of all waters in New Mexico rests with the Office of the State Engineer (OSE).8 The allocation of surface and groundwater rights is based on prior appropriation enshrined in New Mexico’s water code.9 Under prior appropriation, senior water rights holders have priority (based on the date water rights were issued) over new (junior) water rights holders.10 In both cases—surface and groundwater—farmers tend to be senior water rights holders in the county. Even though the OSE has administrative purview over all waters in New Mexico, multiple federal and state agencies are involved in water management in the county, along with over 69 water providers. Limited water availability and the fragmented nature of water management tend to force agricultural and non-agricultural interests into competition with one another. Despite this overall growth pattern, many of the county’s residents are economically and socially disadvantaged. Community stakeholders report a lack of living wages, limited infrastructure and transportation as key challenges affecting people’s lives.12-14 Poverty and unemployment remain a pressing concern. Thirty percent of the county’s residents live in poverty, while the median household income of $38,426 remains below the state average of $44,803.11 The county’s unemployment rate, at 10.3 percent, is higher than the state’s unemployment rate (8.7 percent) for the same period.11 Economic hardship in the county exacerbates food insecurity, with 15,708 households (21 percent) participating in the Supplemental Nutrition Assistance Program (SNAP).11 Poverty and unemployment are concentrated in unincorporated areas of Doña Ana County, especially in its 37 colonias.5, 15 According to census estimates, 55,568 people reside in the 37 colonias, with multiple reports indicating that the total population in the colonias is increasing.5, 16 Interviews with community leaders suggest that a significant proportion of the colonia population is comprised of recent immigrants—some of whom may be undocumented. Community leaders and stakeholders in Doña Ana County are committed to addressing economic challenges to build a healthy, equitable, and livable community. 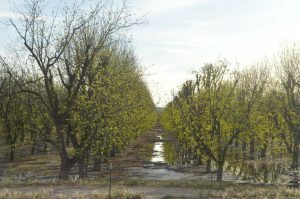 Despite its importance to Doña Ana County’s history and present economy, agriculture faces a number of challenges to remaining viable into the future. Two challenges highlighted by interviewees appear to be common among farms: increased competition to access agricultural markets and limited availability of water.12-14, 19-21 Chile farmers in the county face increased competition from chile producers in Mexico and other foreign chile producing regions such as India, China, and Peru.22 The cost and availability of labor for chile picking affects the local farmer’s ability to be competitive against chile producers who can produce chile at lower costs and have access to larger labor pools.22 Agricultural labor costs outside of the United States (U.S.) tend to be a fraction of the labor costs associated with chile production in the U.S.22 The U.S. chile industry remains low tech, although the use of chile harvesters is catching on. Availability of labor for chile picking has also become unpredictable over the years due to other industries (namely, construction) demand for local labor as well as more stringent immigration laws hindering Mexican farm labor to work across the border in Doña Ana County.22 Mechanization in the chile industry offers a solution to the labor problems, but mechanization comes at a cost of changing community dynamics and potentially disrupting the social fabric of communities. In a similar vein, local dairy farmers face competition from Californian farmers within the regional dairy market.13 Vertical integration and consolidation of markets within the food system has created long supply chains.23 As a result of such transformations in the food system, dairy producers in New Mexico sell to (dairy) aggregation chains based in California.13 Dependency on an expanded Western market—than, say, a local/regional market—affects the fortunes of farmers and farming communities. Farmers also operate within challenging environmental conditions, made worse by a prolonged drought. Doña Ana County has an arid climate, but agriculture was made viable through the construction of the Rio Grande Reclamation Project with Elephant Butte dam completed in 1916. The Project brought reliable irrigation water to the region.24, 25 One interviewee described water as the “lifeblood” of farming.20 In 1918, farmers formed the Elephant Butte Irrigation District (EBID) that eventually took ownership, maintenance and operations of the irrigation distribution and drainage systems from the Bureau of Reclamation.10 At its peak, EBID supplies water to 90,640 acres of land in Doña Ana County for irrigated agriculture (about 7,900 water users).10, 26, 27 Overall, 8,300 parcels of land within the county have rights to irrigation water from EBID. 28 In a full supply year, farmers with water rights receive on average three acre-feet of water for each acre with water rights.27 In 2013, farmers received only 3.5 inches per acre and in 2014, 11 inches per acre, well below the norm.20 To compensate for reduced surface water supply, farmers turn to groundwater.20 Pumping of groundwater affects the quality and quantity of water remaining in the aquifer systems. 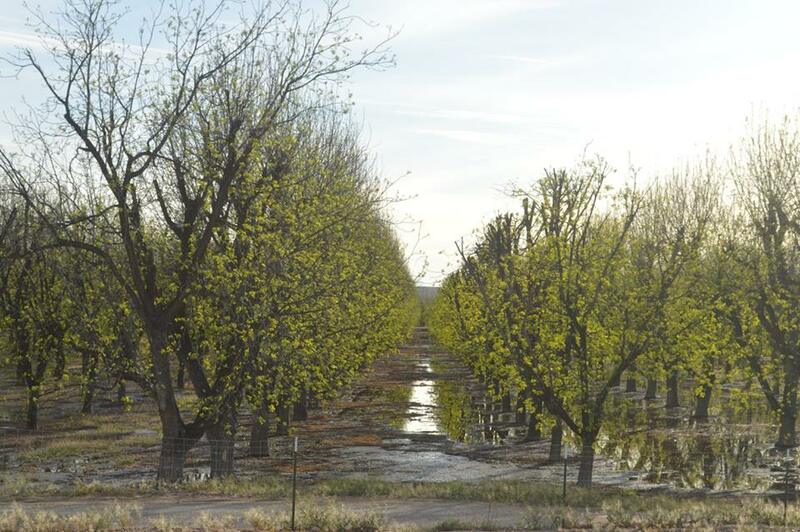 Reduced surface water supply in Doña Ana County not only makes farming more challenging but also increases the cost of farming. The irrigation district requires farmers to pay a flat rate fee of $70 for two acre-feet of water (in 2015) regardless of the amount of water in the reservoir and the actual allocation the farmer receives.20 In the event of a shortfall, farmers pump groundwater. Although farmers do not pay for groundwater, they do pay for electricity to pump the groundwater.20 Cumulatively, these costs affect farmers’ economic viability. Compliance with regulations is another factor that must be included in planning for agricultural viability. Some farmers and ranchers view these requirements as burdensome and unnecessary. According to one interviewee, Environmental Protection Agency (EPA) regulations, in particular, are forcing farmers out of business: “[…] you can’t manage a watershed anymore, going into the forest and clearing it and cutting it so that you can prevent some of these forest fires…You can’t do any of that anymore because you are affecting some bird or some species.”20 Federal food safety laws, intended to protect public health, also factor in agricultural operations.20 Food safety laws require all food handled by human hands to be inspected and graded for quality to ensure zero contamination.20 An interviewee noted that “…the farmer has to work at trying to figure out how to produce this crop without hands touching that crop. This regulation alone makes it expensive for a farmer to produce a crop.”20 From this perspective, food regulations place a disproportionate burden on farmers in the U.S. compared with foods imported from other parts of the world that are produced with less oversight.20 These comments suggest that while food safety and environmental protection may be generally recognized as legitimate public interests, policy makers and regulators should work with agricultural interests to keep compliance costs within competitive margins. Farmers in Doña Ana County must also deal with the potential impact of urbanization and residential development. These types of conflict occur most commonly when non-agricultural land uses and agricultural uses are in close proximity.19 Noise from irrigation pumps, damage caused by loose animals, flies, odors, smoke and dust, and contamination of water supplies are typical complaints by property owners near agricultural operations. On the other hand, trespassing, damage to farming equipment and crops, and theft are typical problems that farmers and ranchers may have with their neighbors. Although farming operations often pre-date nearby residential development, some development is generated by farmers themselves when they sell off agricultural parcels knowing that the land will be subdivided for homes.12 To help address this issue, the State of New Mexico enacted a “Right to Farm Act” in 1981 that seeks to: “…conserve, protect, encourage, develop and improve agricultural land for the production of agricultural products and to reduce the loss to the state of its agricultural resources by limiting the circumstances under which agricultural operations may be deemed a nuisance.”29 Partly in response to increasing tensions between farmers and residents, the State of New Mexico further strengthened the Right to Farm Act in 2016 to protect farmers against nuisance claims.29 The amended language treats nuisance claims against previously established agricultural operations as frivolous unless complainants can demonstrate substantial change in the nature and scope of the agricultural operations.29 Although the amendment leaves room for recourse for (non-farming) residents, the law favors established agricultural land uses over newer residential developments. Tensions between agricultural and residential stakeholders in the county have been exacerbated in recent years by drought-induced water scarcity. Reduced surface water availability forced farmers to use groundwater to make up the shortfall in water supply. Because they are senior water rights holders, farmers have priority for both surface water and groundwater. Public water users perceive farmers’ growing reliance on groundwater as negatively affecting the aquifers upon which they rely.10, 20 While agriculture still makes up the bulk of water use in the county, municipal water use has also increased over the last five decades.8 Stable water supply is critical for development and growth that is threatened by the depletion of groundwater. In drought conditions, the water needs of the farming community are pitted against the development aspirations of an urbanizing community. To ensure agrarian viability and stable community development, institutions involved in water management have to devise rules of use in times of shortage. With over 1,000 square miles of farm and ranch land, agriculture remains strong in Doña Ana County despite a rapidly urbanizing population and prolonged drought. Despite many assets, limited access to land, labor, water rights, and lack of local infrastructure for aggregation and processing create barriers for the county’s small farmers. There are many opportunities for local governments to provide support to small farmers and enhance agricultural viability in the county. Local governments can identify the importance of farmland protection and take action to protect farmland from non-farm development. Planners and local governments must also work to boost the economic viability of existing farm and food production businesses within the county. Local governments can also support workforce development programs to ensure a skilled, reliable labor force for local farms. There is also a wide range of actions that local governments can take to support food infrastructure development and fill gaps in the current food distribution system. Strengthening local food distribution networks can also help local and regional food systems meet important economic, health, and community goals. Food insecurity is exacerbated by spatial disparities in food retail in the county. Spatial disparities in food retail disproportionately impact the food insecure population in the county. Physical access to retail stores that sell healthful, nutritious, and affordable food is limited throughout the county.38 Approximately 21 percent of residents have “low access” to grocery stores.33, 39 Among those with low access to grocery stores, food access is further impeded by limited public transportation options.12 This challenge is being addressed by the City of Las Cruces, South Central Regional Transit District, and City of El Paso that are all operating bus systems within the region. The lack of food retail infrastructure is noticeable in the unincorporated areas of the county, as well as in parts of urban centers.38 The U.S. Department of Agriculture reports 22 grocery stores, three supercenters, 56 convenience stores and six specialty stores are located within the county.33 To add perspective, these statistics indicate the availability of 0.1 grocery store per 1,000 persons in the county, with convenience stores being the most prevalent food retail outlet. Stores with the most healthful, nutritious, and affordable foods tend to be located within the more densely populated areas—in other words, not in close proximity to residents of colonias or rural areas. Some civic organizations are also working to prevent hunger through community empowerment and capacity building. Notably, La Semilla Food Center (La Semilla), a local nonprofit organization, is focused on education, farming, advocacy, and policy change to promote long-term food security.41 La Semilla operates an education and demonstration community farm in the City of Anthony to provide training on gardening, nutrition and cooking through hands-on lessons for students and parents.42 The organization also engages in local government policy advocacy to ensure food is recognized in public policies such as comprehensive planning processes.42 La Semilla is integral to the formation and sustenance of the Mesilla Valley Food Policy Council.42 Currently, La Semilla is working on a healthy food financing initiative to improve food access in the county.41 The initiative is designed to “reduce health disparities, improve community health, and create jobs in communities traditionally left out of traditional economic development activities.”43 La Semilla also works to connect farmers to local farmers’ markets, restaurants, stores, and institutions through their “Farm Fresh” program.42 The broad range of food programing undertaken by La Semilla helps push food policy forward in Doña Ana County. The New Mexico State University (NMSU)-Doña Ana Cooperative Extension Service provides nutrition education to limited resource families to assist people in effectively utilizing components of food systems such as farmers’ markets and emergency food distribution.46 The nutrition education program called Ideas for Cooking and Nutrition (ICAN) receives funding from the U.S. Department of Agriculture (USDA)’s Expanded Food and Nutrition Education Program and from the USDA SNAP Education Program (SNAP-Ed).46 Education is provided in English and Spanish and encourages healthy eating using easy and economical recipes.46 This education occurs at farmers’ markets, emergency food distribution sites, senior meal sites, youth summer feeding sites and at other community locations such as schools and community centers.46 ICAN partners with non-profit and governmental organizations to provide education throughout Doña Ana County.46 The work and commitment of community stakeholders positions the county to make significant progress in improving food security and agricultural viability through public policy. Recognizing the challenges, opportunities, and successes within its food system, local governments in Doña Ana County are embarking on a number of initiatives to promote food security and agricultural viability. The City of Las Cruces Senior Programs agency is also working with Casa De Peregrinos and Roadrunner Food Bank to bring food distributions to all five senior centers.47 Since August of 2016, more than 89,000 pounds of food have been distributed.47 This municipal senior meal service programming is funded primarily through the city’s budget supplemented by state (30 percent) and federal (10 percent) funding.34 Food provisioning for seniors, who were identified as a vulnerable group in the county, provides the region’s aging population with a safety net critical to their well-being. However, the county’s participation in senior food provisioning is technically a violation of the anti-donation clause in the State Constitution, since public dollars are being used to directly benefit individuals.21 The anti-donation clause creates a number of challenges for the county in providing critical community services. Another strategy for improving food security among seniors and other vulnerable populations is the development of community gardens for food production. The Las Cruces Parks and Recreation Department operates four community gardens in high need areas.48 One of the community gardens is dedicated for use by seniors. There is no charge for plots in this garden and the food that is grown is distributed at senior centers.48 A plot costs $15 in the other three gardens operated by Parks and Recreation.48 The Parks and Recreation department works with the Master Gardener Program, and has plots dedicated to teaching youth to garden as part of the “Weed and Seed” program.48 The Master Gardener Program is a group of volunteers trained and supervised by the NMSU-Doña Ana Cooperative Extension Service in Doña Ana County.46 The Parks and Recreation Department is also experimenting with setting up an experimental closed loop hydroponics farm on city-owned property which will be available to the community.48 There is a high demand for these community gardens and strong support from the municipal government.48 The NMSU-Doña Ana Cooperative Extension Service provides technical assistance to many community and school gardens throughout the county.46 This assistance is provided by an agronomy and horticulture agent and trained Master Gardener volunteers. Efforts are also underway to encourage more healthful consumption of foods, especially among children. The work of Healthy Kids Las Cruces (HKLC), a collective of organizations involved in food work, spearheaded by the New Mexico Department of Health, has been important in promoting dialogue about healthy lifestyles. HKLC has been successful in introducing salad bars in all Las Cruces public schools,49 as well as the addition of school gardens in all schools in Las Cruces District 3.14 Another example of promoting healthy lifestyle is the County Department of Health and Human Services program called Nuestra Vida (Our Life).12 Nuestra Vida focuses on teaching residents with diabetes how to manage the disease through better diet and nutrition.12 The program relies on “promotoras” (bilingual community health workers) to provide health and nutrition education and other preventative services directly to community residents.12 Local government programming around health and nutrition education also plays an important role in affecting change in food values in the community. The state government recognizes the value of local agriculture and protects it through its policies. 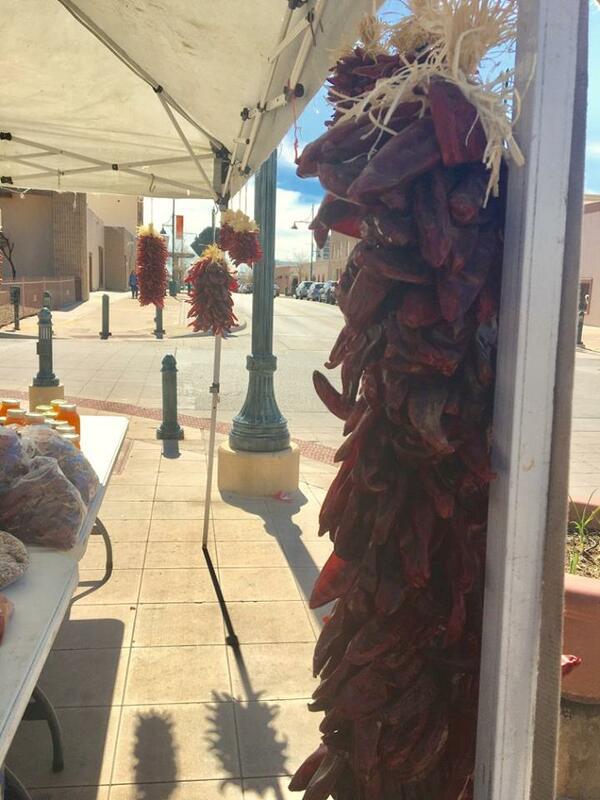 For example, the state enacted the New Mexico Chile Advertising Act in 2013 to prohibit vendors from any actions that “knowingly advertise, describe, label or offer for sale chile peppers as New Mexico chile, or to advertise, describe, label or offer for sale a product as containing New Mexico chile, unless the chile peppers or chile peppers in the product were grown in New Mexico.”50 The act was implemented to create brand recognition for the New Mexico chile, a substantial portion of which are grown in Doña Ana County.50 The act also provides brand protection for Doña Ana County’s chile in export markets.22 Additionally, as noted earlier, the state has stringent Right-to-Farm laws to protect agriculture against nuisance claims. 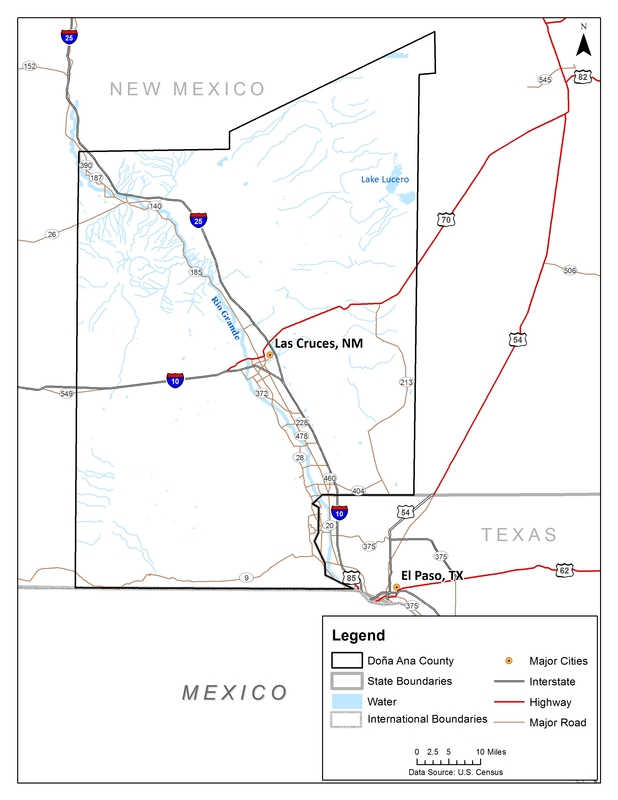 In a move to align future development with the county’s newly adopted comprehensive plan, Doña Ana County recently adopted a new Unified Development Code (UDC) in 2017.53 The UDC applies to all unincorporated areas in the county as well as any property inside the extraterritorial zone jointly administered by the City of Las Cruces and Doña Ana County.53 As with the comprehensive plan, the UDC underwent an extensive period of public review and comment.53 As a result, a number of farming issues were brought to the attention of decision-makers. One issue in particular concerned minimum lot size requirements for subdivision of agricultural land.54 Farmers felt setting a minimum lot size requirement impacted the value of their property.54 After extensive discussion and community protest, a 10-acre minimum lot size was reduced to 2 acres.53, 54 Additional changes were made to address grazing issues and allowed uses within specific zones. The county maintains a pro-agriculture environment by maintaining zoning districts in the UDC that permit agricultural activities.55 The UDC categorizes zoning districts as either transect or use zones. Transect zones include five historical development patterns that are predominantly mixed use.56 Use zones encompass 15 types of use-specific districts that are regulated based on similar or adjacent development.57 Regardless of zoning type, farming and ranching remains a permitted use throughout much of the county, with the exception of natural zones.53, 58 Agricultural activities such as agricultural processing and warehousing, dairies, feedlots, slaughterhouses, commercial poultry raising or processing swine products are permitted only in commercial or industrial zones.55 The UDC permits livestock in residential districts as long as requirements are met: “A minimum lot size of 0.75 acre or 32,670 square feet shall be required for the keeping of livestock, other than mature stallions, bulls, buffalo and beefalo, which shall be prohibited from lots containing less than two acres.”59 The new development code supports agricultural activities in the county while striving for compact and mixed used development. The City of Las Cruces’ land use code permits agricultural uses in one of its six zoning districts.60 Livestock is permitted on parcels within the single family rural residential zoning district (EE and REM sub-districts).61 In particular, EE district property owners can raise large livestock (e.g. horses, Buffalo) and smaller animals (e.g. chickens and ducks).61 However, livestock, both large and small, has to be kept 35 feet from adjacent dwellings and properties.61 In other zoning districts, property owners can raise small livestock animals provided they apply and receive a special use permit.61 According to one interviewee, keeping of a backyard garden is permissible on all properties throughout the city.21 In Las Cruces, one interviewee reported that people are allowed to sell produce they grow in community gardens on city land—a policy that improves both food and economic security.48 The City of Las Cruces’ zoning code reflects awareness on part of the local government of the importance of agriculture to the local community. The Las Cruces City Council has passed resolutions supportive of a growing local food culture and a local food economy. In 2012, the Council adopted a resolution to support a “Farm to School Program.”42 This program connects local farmers and public school food service providers by integrating local produce into cafeteria menus and offering classroom tastings.42 In 2013, the Council passed another resolution supporting establishment of the Mesilla Valley Food Policy Council.62 Adoption of these resolutions indicates local government is aware of the importance of food-related programs to the community. Another major food policy development in Las Cruces has been the adoption of an urban agriculture and food policy plan. La Semilla, in concert with the local planning department, developed an urban agriculture plan that was adopted by the Las Cruces City Council in June 2016.62 Purposefully crafted with meaningful community engagement, the plan includes vision, goals, strategies and recommendations for the city to consider in their development practices.62 More than that, the plan advocates for use of a triple bottom line (social, economic and environmental values) approach in the development of strategies and recommendations for local food policy.62 For example, the social element of the triple bottom line is captured in Goal One: “All residents should have enough to eat and access to affordable, local, healthy, sustainable, and culturally appropriate food.”62 The economy is captured in Goal Two: “A stronger, more vibrant local economy with more food growing and processing opportunities.”62 The environmental goal calls for: “Healthier ecosystems and smart environmental resources stewardship.”62 The adoption of the urban agriculture plan is significant as it signals elevation and prioritization of food policy within local government. Given that public transit provides a critical option for food-insecure residents who have low vehicular access, expansion of bus service within the county has been generally well received. Funding for the system has been provided by federal grants administered through the State of New Mexico, membership dues from participating governmental entities, and annual apportionments of tax revenue controlled by the County Commission.12, 63 Arguments supporting continued funding of the system have included the importance of improved access to healthy food. Water is a critical need for residents and farmers alike in Doña Ana County. To reduce the deficit in surface water supplies EBID is seeking alternative sources of water. One particular strategy has been to capture and manage stormwater to help recharge the aquifer. As described by one interviewee, “storm water… is limited but it is the new supply that seems to be occurring more often than we can count on snow pack.”20 Pursuing this option will require a high degree of innovation as well as negotiations with other claimants to use of this water—especially environmentalists. Las Cruces has also developed water conservation and water reuse programs to deal with the drought. Water is treated for reuse and supplied via a “purple pipe” for non-potable purposes within the City of Las Cruces limits.21 Following prior appropriation laws, all of the reused water has been appropriated, mostly for irrigating the local golf course and parks and recreation facilities.21 Clearly local governments are acting to prevent severe shortages and meet quality of life needs but water conservation and innovation would benefit from greater coordination among water provisioning institutions in Doña Ana County. While the City of Las Cruces and Doña Ana County have started undertaking more food conscious planning, more work remains in strengthening local food systems. A strong agricultural sector and a dedicated network of governmental and community stakeholders provide the ingredients for transformation within the local food system. Even as some of this work is underway, Doña Ana County would benefit from a more coordinated and stronger public policy engagement in the food system. Some ideas are outlined below. Interviewees noted that information dissemination is most challenging in communities with the greatest need for food programs.12, 34 While multiple avenues exist to access food from the emergency food systems, this information does not always reach at-risk populations. One interviewee suggested that all outreach literature should be translated into Spanish in order to improve communication.34 The Nuestra Vida program offers a good example of the efficacy of bilingualism, but in a county where two thirds of the population is Hispanic or Latino, more needs to be done to make information accessible. Information in this brief is drawn from multiple sources. Quantitative data sources include the 2014 American Community Survey (ACS) five-year estimates and 2012 U.S. Census of Agriculture. Qualitative data include 14 in-depth interviews with representatives of various sectors of the food system as well as Doña Ana County and City of Las Cruces policy makers and staff. Interviewees are not identified by name but are, instead, shown by the sector that they represent, and are interchangeably labeled as interviewees or stakeholders within the brief. Interviews were conducted from April to August 2015. Qualitative analysis also included the policy and plan documents of the local and regional governments, which were reviewed for key policies and laws pertaining to the food system, and a review of minutes of the Growing Food Connections steering-committee meetings. The GFC team is grateful to the Doña Ana County GFC steering committee, Doña Ana County government officials and staff, and interview respondents for giving generously of their time and energy for this project. 2 C. Marquis and J. Freedgood, “Doña Ana County, New Mexico: Community Profile,” Growing Food Connections Project (Buffalo, NY: University at Buffalo, 2016). 4 U.S. Department of Agriculture, 2012 Census of Agriculture (Washington, D.C.: U.S. Census Bureau, 2014). 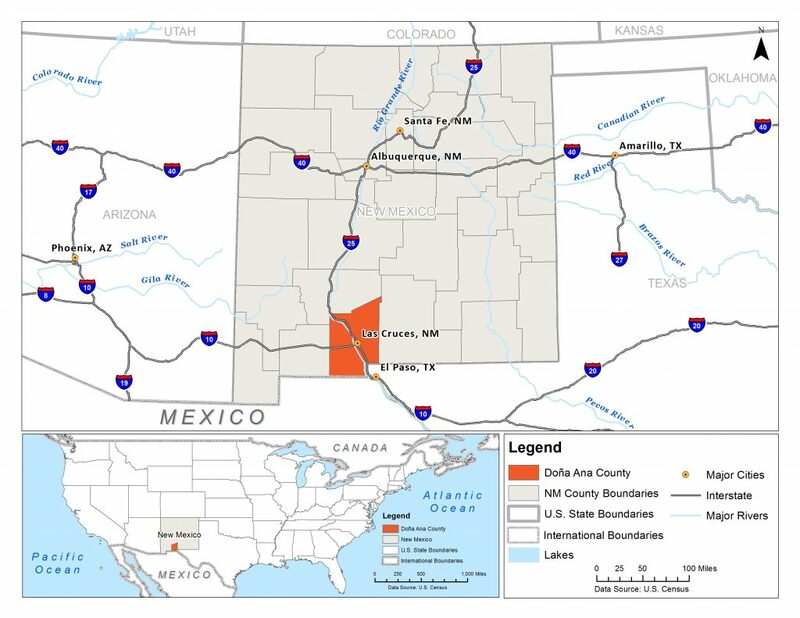 5 Doña Ana County, Plan 2040: Doña Ana County, New Mexico Comprehensive Plan (Las Cruces, NM: Doña Ana Board of County Commissioners, 2015). 6 U.S. Census Bureau, 2012 Census of Governments: Organization Component Estimates (Washington, D.C.: U.S. Census Bureau, 2012). 7 New Mexico Constitution, Article 10: County and Municipal Corporations, Section 6: Municipal Home Rule (Santa Fe, NM: New Mexico Legislature, 1970). 8 S. Raj, “Disjunctive Planning: Lessons for Adaptive Water Governance from Doña Ana, New Mexico,” Journal of Environmental Policy & Planning. Forthcoming. 9 C.A. Klein, F. Cheever, and B.C. Birdsong, Natural Resources Law: A Place-Based Book of Cases and Problems, 3rd ed. (Waltham, MA: Wolters Kluwer Legal Education, 2013). 10 Utton Transboundary Resources Center, “Water Litigation in the Lower Rio Grande,” Water Matters! 24 (2013): 1-22, http://uttoncenter.unm.edu/pdfs/water-matters-2015/24_Water_Litigation_in_the_Lower_Rio_Grande.pdf. 11 U.S. Census Bureau, 2015 State and County QuickFacts – Doña Ana County, New Mexico (Washington, D.C.: U.S. Census Bureau, 2015). 12 Interview with Local Government Representative in Doña Ana County (ID 30), June 5, 2015. 13 Interview with Local Government Representative in Doña Ana County (ID 35), June 3, 2015. 14 Interview with Local Government Representative in Doña Ana County (ID 39), July 16, 2015. 15 Colonias are communities in Arizona, California, New Mexico, and Texas within 150 miles of the U.S.-Mexico border. Colonia is a federal definition used to identify communities that can be targeted for federal aid for infrastructure development. Colonias are characterized by a lack of adequate water, sewage, gas systems and decent, safe, and sanitary housing. Doña Ana County is home to 37 of over 140 federally recognized colonias in New Mexico. 16 N.L. Simmons, “Memories and Miracles – Housing the Rural Poor along the United States-Mexico Border: A Comparative Discussion of Colonia Formation and Remediation in El Paso County, Texas, and Doña Ana County, New Mexico,” New Mexico Law Review 27, no. 1 (Winter 1997): 33-75. 17 L. Bustillos and S. Hoel, New Mexico Agricultural Statistics: 2015 Annual Bulletin (Las Cruces, NM: U.S. Department of Agriculture National Agricultural Statistics Service, 2015). 18 T.Y. Hall and R.K. Skaggs, New Mexico’s Chile Pepper Industry: Chile Types and Product Sourcing (Las Cruces, NM: New Mexico Chile Task Force, 2003). 19 Interview with Local Government Representative in Doña Ana County (ID 31), June 5, 2015. 20 Interview with Local Government Representative in Doña Ana County (ID 34), July 29, 2015. 21 Interview with Local Government Representative in Doña Ana County (ID 40), June 4, 2015. 22 J. Hawkes, J.D. Libbin, and B. Jones, “Chile Production in New Mexico and Northern Mexico,” Journal of the ASFMRA (American Society of Farm Managers and Rural Appraisers) (2008): 83-92. 23 M. Pullman and Z. Wu, Food Supply Chain Management: Economic, Social and Environmental Perspectives (New York, NY: Routledge, 2012). 24 R.E. McBride, Doña Ana County in New Mexico: Containing the Fertile Mesilla Valley, Cradle of Irrigation in America (Las Cruces, NM: New Mexico Bureau of Immigration, 1908). 25 The dam at Elephant Butte is part of the Rio Grande Project – the project is comprised of two storage dams, six diversion dams, 141 miles of canals, 462 miles of lateral ditches, another 457 miles of drains and a power plant built by the Bureau of Reclamation over the course of three decades. The reservoir has a capacity of 2 million acre-feet. 26 L. DeMouche, Interpreting the Elephant Butte Irrigation District for Water Users (Las Cruces, NM: New Mexico State University Cooperation Extension Service, 2004). 27 R. Skaggs and Z. Samani, Irrigation Practices vs. Farm Size: Data from the Elephant Butte Irrigation District (Las Cruces, NM: New Mexico State University Water Task Force, 2004). 28 Irrigation surveys by the Bureau of Reclamation conducted after the Project was authorized in 1905 determined which parcels of land in Doña Ana County could be fed by gravity irrigation and only the identified parcels can be supplied with surface water. 29 New Mexico Statutes Annotated 1978, New Mexico Agricultural Protection Act Vol Chapter 47 (Santa Fe, NM: New Mexico Legislature, 1981). 30 J. Garcia, “New Mexico Municipal Representatives on the Use of Surface Water for Their Cities,” Panel presentation at the 53rd Annual New Mexico Water Conference of the New Mexico Water Resources Research Institute, Albuquerque, NM, October 21, 2008. 31 Unlike property rights, water rights are usufructuary. A water right provides legal protection for the use, not ownership, of water. In Doña Ana County, water rights may be transferred when land is sold, hence making land with surface water rights valuable. 32 J. Page-Reeves, ed., Women Redefining the Experience of Food Insecurity: Life Off the Edge of the Table (London: Lexington Books, 2014). 33 U.S. Department of Agriculture, Food Environment Atlas (Washington, D.C.: Economic Research Service, 2015). 34 Interview with Local Government Representative in Doña Ana County (ID 29), June 5, 2015. 35 I. Gonzales, W.A. Eastman, L. Stanford, D. VanLeeuwen, and C. Turner, “Food Security in a Southwest Border Colonia Community,” Journal of the Academy of Nutrition and Dietetics 114, no. 9 (September 2014): A86. 36 J.R. Sharkey, W.R. Dean, and C.M. Johnson, “Association of Household and Community Characteristics with Adult and Child Food Insecurity among Mexican-Origin Households in Colonias along the Texas-Mexico Border,” International Journal for Equity in Health 10, no. 19 (May 2011): 1-14. 37 C.C. Nalty, J.R. Sharkey, and W.R. Dean, “Children’s Reporting of Food Insecurity in Predominately Food Insecure Households in Texas Border Colonias,” Nutrition Journal 12, no. 15 (January 2013): 1-9. 38 Interview with Local Government Representative in Doña Ana County (ID 38), June 3, 2015. 39 Low access is defined by the U.S. Department of Agriculture as urban populations living more than one mile from a supermarket, and for rural areas as more than 10 miles from a supermarket. 40 Interview with Consumer Advocate Representative in Doña Ana County (ID 33), June 25, 2015. 41 Interview with Consumer Advocate Representative in Doña Ana County (ID 28), April 13, 2015. 42 La Semilla Food Center, “Mesilla Valley Food Policy Council,” accessed April 20, 2016, http://www.lasemillafoodcenter.org/index.php/what-we-do/food-planning-policy/mesilla-valley-food-policy-council. 43 New Mexico Department of Health, “Healthy Kids Las Cruces Newsletter – 2015,” accessed April 20, 2016, https://nmhealth.org/about/phd/region/sw/hklc/. 44 Interview with Food Retail Representative in Doña Ana County (ID 41), June 4, 2015. 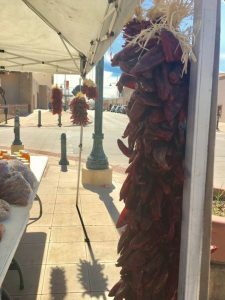 45 New Mexico Farmers’ Marketing Association, “New Mexico Farmers’ Markets,” accessed April 20, 2016, http://farmersmarketsnm.org/find-a-market/. 46 Cooperative Extension Representative, email to author, June 26, 2017. 47 Local Government Representative, email to author, June 26, 2017. 48 Interview with Local Government Representative in Doña Ana County (ID 36), June 5, 2015. 49 New Mexico Department of Health, “Healthy Kids Las Cruces Newsletter – 2016,” accessed April 20, 2016, https://nmhealth.org/about/phd/region/sw/hklc/. 50 New Mexico Statutes Annotated 1978, New Mexico Chile Advertising Act Vol Chapter 25 (Santa Fe, NM: New Mexico Legislature, 2013). 51 City of Las Cruces, City of Las Cruces Sustainability Action Plan 2011-2014 (Las Cruces, NM: City of Las Cruces City Council, 2011). 52 City of Las Cruces, City of Las Cruces Sustainability Action Plan 2014-2017 (Las Cruces, NM: City of Las Cruces City Council, 2014). 53 Doña Ana County, Unified Development Code, Ordinance No. 287-2016 (Las Cruces, NM: Doña Ana Board of County Commissioners, 2017). 54 D.A. Soular, “Land-Use Commission Changes Farm Subdivision Plan After Protest,” Las Cruces Sun News, September 1, 2016, https://www.lcsun-news.com/story/news/local/county/2016/09/01/land-use-commission-changes-farm-subdivision-plan-after-protest/89737650/. 55 Doña Ana County, Doña Ana County Code, Chapter 250: Land Use and Zoning (Las Cruces, NM: Doña Ana Board of County Commissioners, 2011). 56 Transect zones include natural (N), Rural (T2), Neighborhood edge (T3), General Neighborhood (T4), and Town Center (T5). 57 Use zones include: Rural density residential (R5), Rural Density Residential – Limited (RL5), Low Density Residential (D1), Low Density Residential – Limited (D1L), Medium Density Residential (D2), Medium Density Residential – Limited (D2L), High Density Residential (D3), Mobile Home Park (DM), Mixed use (MU), Neighborhood Commercial (C1), Community Commercial (C2), Regional Commercial (C3), Light Industrial (I1), Medium Industrial (I2) and Heavy Industrial (I3). 58 Natural zones encompasses lands that are in or reverting to a natural condition, including lands unsuitable for settlement or development due to topography, hydrology or vegetation. 59 Doña Ana County, Doña Ana County Code, Chapter 250: Land Use and Zoning Vol Article XII: Keeping of Livestock (Las Cruces, NM: Doña Ana Board of County Commissioners, 2011). 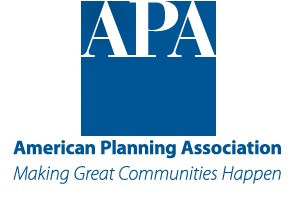 60 Agriculture is permitted in the single family rural residential zoning district that encompasses three sub-categories of zoning: Single-family equestrian estate and agriculture (EE); Single-family residential estate (RE); Single-family residential estate mobile (REM). 61 City of Las Cruces, Las Cruces Municipal Code, Chapter 7: Animals Vol Article III (Las Cruces, NM: City of Las Cruces City Council, 2014). 62 K. Aguilar, Las Cruces Urban Agriculture and Food Policy Plan: Growing Good in Las Cruces (Las Cruces, NM: City of Las Cruces City Council, 2016). 63 New Mexico state statute allows municipalities and counties to increase sales tax up to 3/8 of a percent without having to put it on the ballot, which is what Doña Ana County did in this case. 64 S. Raja, J. Clark, J. Freedgood, and K. Hodgson, Growing Food Connections: Local Government Food Policy Database (Buffalo, NY: University at Buffalo, 2016), http://growingfoodconnections.org/tools-resources/policy-database/. 65 Z. Fodor and K. Hodgson, “Healthy Food System in the Heartland: Intergovernmental Cooperation in the City of Lawrence and Douglas County, Kansas Advances Food Policy,” (Buffalo, NY: Growing Food Connections, 2015), http://growingfoodconnections.org/wp-content/uploads/sites/3/2015/07/Lawrence-COI-Web-Feature_20150715.pdf. 66 A. Dillemuth and K. Hodgson, “Incentivizing the Sale of Healthy and Local Food,” (Buffalo, NY: Growing Food Connections, 2016), http://growingfoodconnections.org/wp-content/uploads/sites/3/2015/11/GFCHealthyFoodIncentivesPlanningPolicyBrief_2016Feb-1.pdf. 67 A. Dillemuth, “Farmland Protection: The Role of Local Governments in Protecting Farmland as a Vital Local Resource,” (Buffalo: Growing Food Connections, 2017), http://growingfoodconnections.org/wp-content/uploads/sites/3/2015/11/GFCPlanningPolicyBrief_FarmlandProtection_2017Sept1.pdf. 68 A. Dillemuth, “Community Food Systems and Economic Development: The Role of Local Governments in Supporting Local Food Economies,” (Buffalo: Growing Food Connections, 2017), http://growingfoodconnections.org/wp-content/uploads/sites/3/2015/11/GFCPlanningPolicyBrief_EconomicDevelopment_2017Sept.pdf. Recommended citation: Raj, Subhashni and Samina Raja. “Agrarian Values and Urban Futures: Challenges and Opportunities for Agriculture and Food Security in Doña Ana County, New Mexico.” In Exploring Stories of Opportunity. Edited by Samina Raja, 14 pages. Buffalo: Growing Food Connections Project, 2018.